Downton Abbey, everybody’s favorite British Serial Drama is in it’s 6th and final season. This show has captured the attention of people around the world in a way that few, if any, shows have ever done! I am having a very hard time accepting that this is the final season. Mercy, we’ve been through a lot together in these 6 seasons … marriages, war, feuds, funerals, hats, family dinners (some of them quite uncomfortable), kitchen talk and beautiful flowers. I can’t wait from one family dinner to the next to see what flowers will grace the table! When I first heard that Weeks Roses was to release a Downton Abbey series of roses, I thought that this couldn’t be more perfect. This show brought us aristocratic beauty, romance, elegance and sass–just perfect for roses! Have you seen the roses in this collection? They are spectacular… a wonderful and very fitting collection. 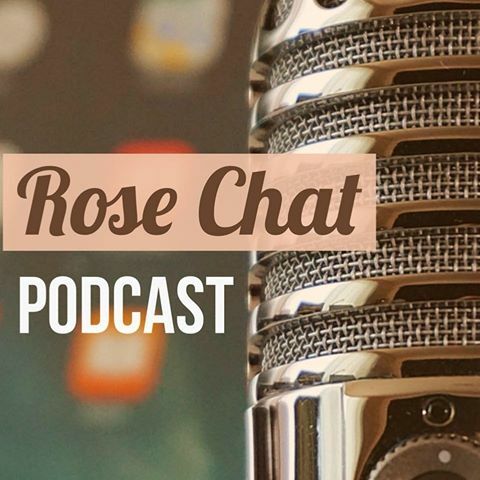 ROSE CHAT WANTS TO HELP YOU WIN THE ENTIRE COLLECTION! Rose Chat has teamed with Weeks roses to offer the entire Downton Abbey collection. One lucky winner will receive four bare root roses shipped to you during your planting season: Pretty Lady Rose, Edith’s Darling, Anna’s Promise and Violet’s Pride. Earn bonus entries when you LIKE our Facebook page or SUBSCRIBE to our newsletter. The first release was to honor Anna Bates, everyone’s favorite lady’s maid. This unique and complex colour combination is a fitting representation of the character Anna Bates. Read more about Anna’s rose here. This large English styled fragrant bloom was inspired by Lady Rose, niece and goddaughter of the Dowager Countess Violet. Read more about the rose here. This true old-fashioned soft apricot-gold gem of a flower is a fitting tribute Lady Edith and her beloved daughter, Marigold. Read more about this rose here. Last but certainly not least, is Violet’s Pride! These aristocratic, resilient, sophisticated blooms were inspired by the iconic shades of Lady Violet’s lavender dresses. Read more about this rose here. Contest ends midnight on Saturday, Feb 13. All this talk about Downton Abbey has me wondering who your favorite character is. Quiet, cautious, strong, loyal, and that smile he gives to Anna–yes, my fav is Mr. Bates. Anna’s promise is just incredible ! Such a rich pretty color. I own Anna’s Promise and it is hard to find the other ones nobody sells Week Roses down here. If any suggestions where I can get them please Let me know. Delma. Hi, Nice to hear from you. What area are you from? I will try to find a supplier for you. Have you tried Edmunds or Chamblee roses online? No I haven’t one nursery that is 45 min away just got Pretty Lady Rose so I will go on Friday to pick it up. I Live in Kingsville, Tx zone 9. We need a Rose named after Lady Mary. I am so excited you found one. That one is a beauty!!! The rose collection I desire! I agree with Chris, they should have their own separate bed. Yes! A bed of beauty for sure! Love this rose series, I look forward to the announcement of the winters. Hey Charlie, It sure is a beautiful series. We will keep you posted. Anna’s promise is my favorite! She is a beauty! Totally fitting Anna!